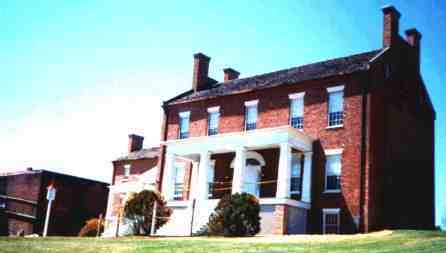 During the War Between the States, the Williams household was predominantly pro-Confederate, but like many other families of East Tennessee, there were sons on opposing sides of the conflict. 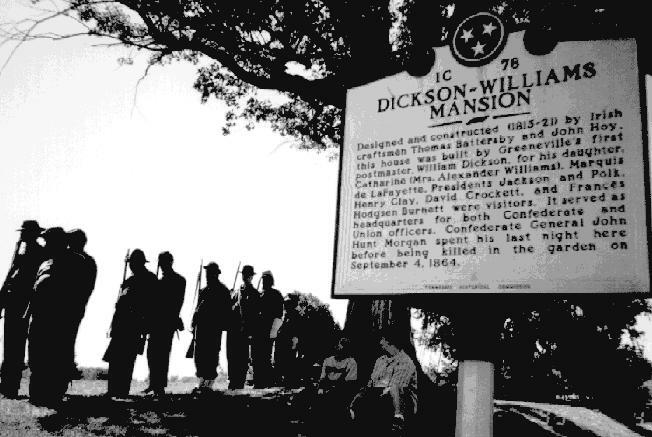 Sons, Thomas Lanier Williams and Maj. William D. Williams (of Morgan's Cavalry) wore Confederate gray, while brother Joseph Williams served as an Union officer. 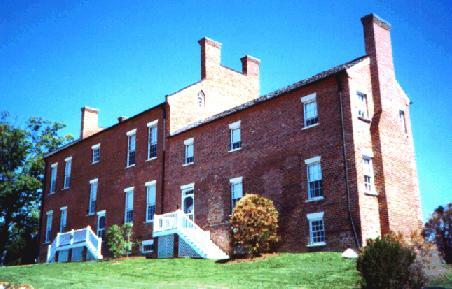 Rear view of the Dickson-Williams house. 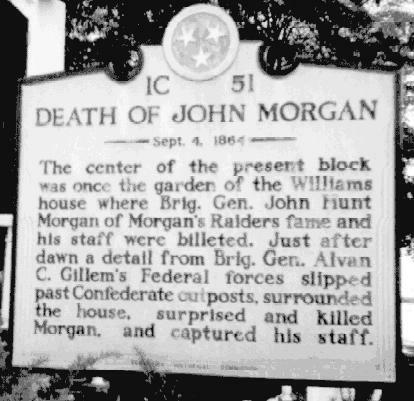 Gen. John Hunt Morgan arrived in Greenville, Sept. 3 1864. 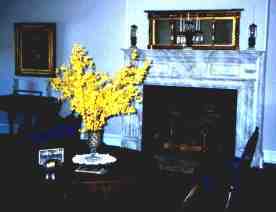 Since the Williams mansion was the largest and finest home in Greeneville, it was natural for him to request quarters there. The widow, Catharine Williams, who was known as a southern sympathizer, warned Gen. Morgan that Gillem's Union cavalry were in the area and she feared for his safety. Catharine was also related by marriage to the General's wife's family (Mattie Ready). Lucy Williams, the wife of Joseph Williams (union officer) was also staying in the home. Lucy's father, Jacob Rumbough warned Morgan "that he should not sleep away from his command". As the night unfolded, it became clear that this advice would have saved the general's life had he followed it. 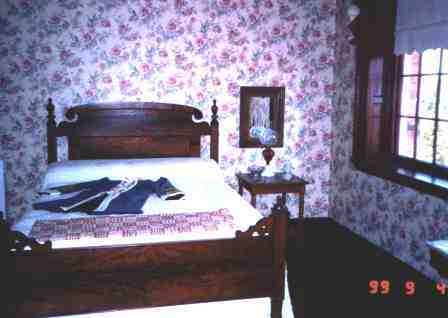 Inside bedroom where Gen. Morgan last stayed. Copyright 1999, Morgan's Men Association. Photos and text by Scott Williams.